Take home the Pirate crew!! This inflatable offers 4! 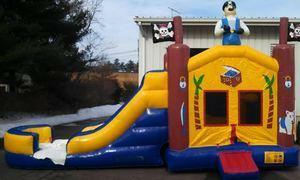 different activities like jumping, climbing,sliding and a built in basketball hoop!! Take home today and make your party one to remember! !